Through Petals Flowers Sydney, New South Wales you are able to send a huge range of premium quality flower bouquets, arrangements, roses, and more to be delivered to Sydney and Sydney's surrounding areas and throughout Australia. Beautiful flowers delivered by local florists to Sydney! We can deliver your fresh flower or gift basket order for Sydney on the same day that you place it, as long as you contact us with your order before 2pm weekdays (for deliveries from Monday to Friday), and before 10.30am Saturday (for deliveries on Saturdays). We can also deliver to all major localities in Sydney Please allow up to 24 hours for remote deliveries around Sydney Sunday deliveries to Sydney are not guaranteed. Why use Petals Network for your fresh flower and gift basket deliveries? Petals staff have years and years of experience in helping people with their orders and they're always nice to talk to! Petals has always valued the personal customer contact that comes with working in an industry for years. Our staff are extremely experienced in helping people with their orders... what to choose... what's the best for delivery to a specific area... which flowers to use for a certain occasion... the list goes on! Many of our staff members have been with Petals for over a decade! Our staff are so pleasant to talk to - they like the personal contact with customers and genuinely enjoy speaking to people about their orders. If you've ever ordered through Petals Network before you'll know what we mean! $51 represents the Standard product size. The Standard size price is the minimum price that this type of product is available for. $60 represents the Classic product size. The Classic size price will always be presented in bold, and represents the image shown. $90 represents the Deluxe product size. The Deluxe size price is a benchmark for an enhancement in size and inclusion of flowers of the Classic product size. Please note: These prices are a guide for our customers. Any value entered that is in excess of the recommended 'Standard' or minimum price will enhance the size and inclusions of the flower or gift order. To say 'Merry Christmas' or 'Happy Easter' if you can't be with your loved ones on the day. So many people these days have families and friends living and working overseas or away for their home base for long periods of time... some even stay away forever! For those of us who have spent time abroad, we know that birthdays, anniversaries and other memorable moments are made so much more special when marked by the ones we love at home! Next time you need to send something to a friend or loved one overseas (or at home)... send flowers through our network of florists! Browse our selections of arrangements, bouquets, plants, roses, gift baskets and more.. you'll find over 100 magnificent products in our range! Your flowers will be delivered fresh from a local florist... so you can rest assured that they'll arrive at your recipient's doorstep as fresh and as beautiful as they possibly can be! We provide same-day delivery throughout Australia, New Zealand and the United Kingdom, and next-day delivery to over 70 other countries around the world. Place the flowers (while still in their wrapping) in fresh water to allow them to drink! Thanks, You took care of my order very well last time, and I wanted to thank you for such excellent service. I look forward to more business with you. Petals Network has a network of over 1000 florists Australia wide to provide you with beautiful fresh flowers delivered same day. If you want to send flowers online to the Sydney area, we will have a local Sydney florist deliver the freshest flowers available to the door! We have a wide range of flowers, roses, bouquets gift baskets and arrangements to suit any occasion including a birthday, an anniversary, a new born baby, romance, sympathy, funeral, natives and flowers just to say thank you. If you want a local florist near Sydney to deliver the freshest flowers to Sydney. We have a large range of Christmas flowers, Valentine flowers and Mother's Day flowers to suit everyone.! Flowers delivered to Sydney! That's what Petals can offer you. Petals florists serving Sydney, NSW will prepare your flowers on the day of delivery so that they arrive fresh to the recipient. 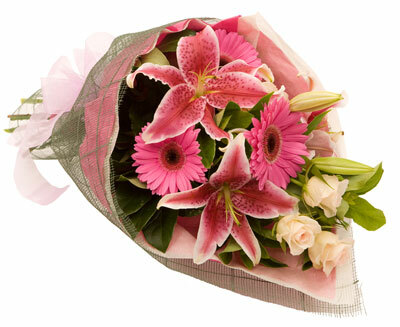 You will find a great range of beautiful flowers available for delivery to Sydney. We have wonderful bouquets, arrangements, seasonal flowers and even gifts and gift baskets available for deliver. Its easy to send cheap flowers to Sydney. We have flowers for all occasions at Petals Network Sydney. Petals has a network of florists serving Sydney, New South Wales. All Petals Network florists serving Sydney are qualified. Our florists will make delivery of flowers to Sydney, New South Wales. Need gifts to Sydney? Visit Petals Network's gift web site, . Send gifts to Sydney, New South Wales with Grumleys. Grumleys has a large range of gifts for all occasions including birthdays, anniversaries, celebrations and new baby congratulations.